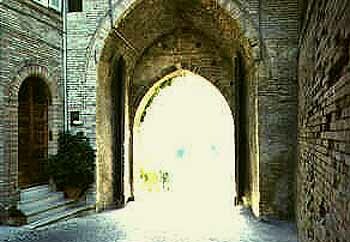 Montegiorgio’s beautiful historic centre has managed to keep its charming medieval features. Montegiorgio was founded in the place where Neolithic populations and Piceni lived. The small town is situated on a hill halfway between the Adriatic sea and the Mounts Sibillini. Visitors may enjoy this view from the Pincio, the highest part of the village, al they need to do is turn their eyes from one side to the other of the horizon.